I started my Cancer Wellness advisory business after realising that there was nobody to turn to, in a practical, physical and emotional sense when I needed help with my own journey, living and coping with Breast Cancer. Through trial and error I have discovered a wealth of information, tips and solutions, and it gives me great pleasure to share it with others. Everybody’s breast cancer is different. Mine is Stage 4, and is incurable. It was already at Stage 4 when I was diagnosed and had spread to my liver and bones. The current statistics are that 80% of people with this type of breast cancer do not survive five years. For me – it has now been over five years, and I would not say I am not just surviving, but I am thriving. I am acutely aware that things could change at any time, but while I am well, I make sure that I extensively research options to enhance my whole well-being and treatment whilst continuing with standard oncology and I feel compelled to reach out and improve the lives of everybody living with cancer. If you would like a FREE chat, fill in the contact form, and I can tell you more. Please can you tell me about other medicines I can take to enhance my standard oncology treatment? This includes ‘off-label’ medications. I have so many side-effects – how can I alleviate them? Should I have a 2nd opinion, and if so, where & how do I go about this? Should I be looking into Clinical Trials? If so, how? What should I be eating? What supplements should I be taking? How much exercise should I take? How can I make the best of my physical appearance and not look like a cancer sufferer? I’m terrified of hair loss – what can I do? How can I keep my life under control during cancer and after treatment? How do I live a normal life with cancer? How do I deal with other people? Who do I tell? How can I let people know how to help me? 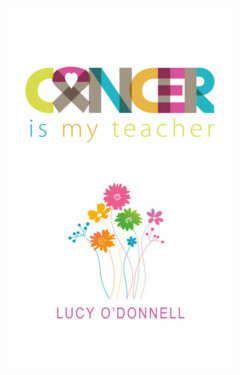 I have written a best-selling book, “Cancer is My Teacher” (new edition published July 2018) about what I continue to learn, so that I can share this with others, including spouses, partners or friends who want to know how to help. I write for Psychology Today and speak regularly at cancer forums and events. I am involved with cancer charities including Marie Curie, Cancer Macmillan, the ICR, Future Dreams and Life After Breast Cancer.